What d'ya mean 8 more? 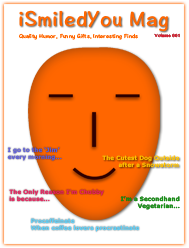 Well I came out with the first list Top 8 Funny Custom Wall Calendars 2014. 1. 2014 Funny Bluntcard Calendar A fun calendar, featuring 12 months of retro images with blunt, but funny, dialogues and phrases. 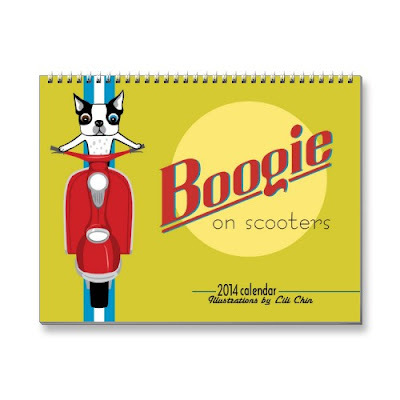 A fun calendar, featuring drawings, sketches of Boogie - the boston terrier, on a selection of vintage scooters. 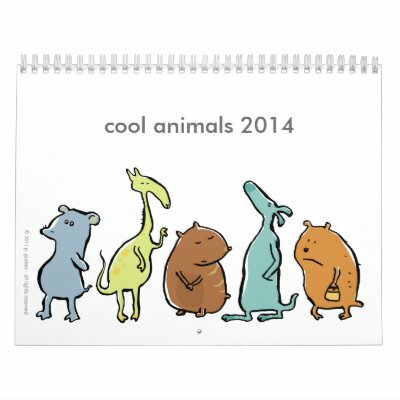 A funny calendar, featuring cartoons of cool creatures, animals, beings, on each page. 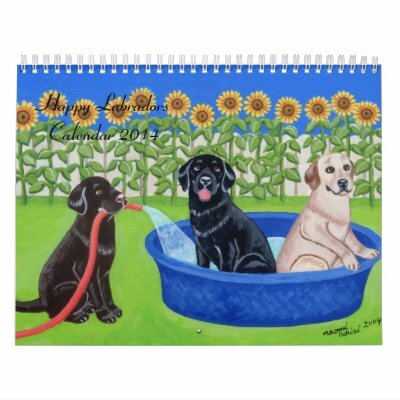 A cute, funny, dogs calendar for dog lovers and owners, featuring funny, adorable, whimsical paintings of Labrador Retriever dogs or Labs having a great time inside and outside the home. You may add additional text and photos to them! 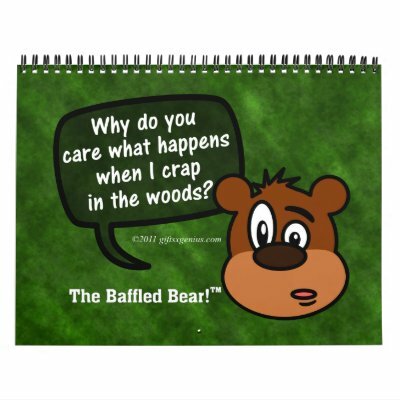 Apart from being funny, these are also completely customizable calendars! You may add your initials, message, thoughts, greetings, quotes, your company logo, pictures, graphics, artwork, to each month or to the front cover of these calendars - at no extra cost. The above calendars don't have to be from Jan to Dec. 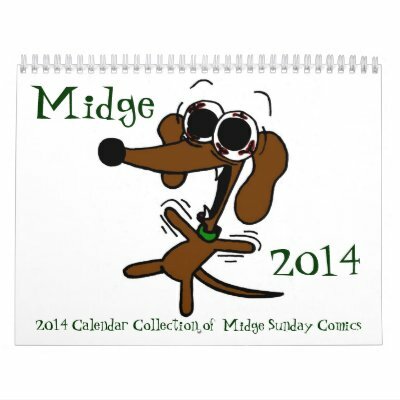 If lets say you are ordering one of these calendars in March, change their start month to March. Your calendar will then be from March to Feb of next year! 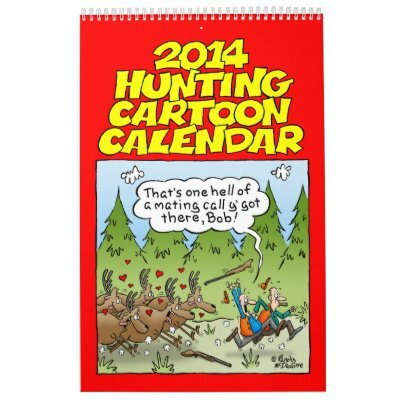 These are great calendars to have around you, at your home, office, your room, workspace, office cubicle, kitchen, garage, man-cave. A wonderful calendar around, brightens up the day.